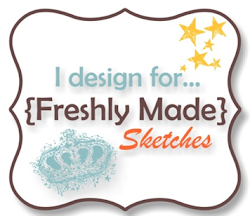 You’ve totally rocked the sketch. Love how this turned out. Thank you for playing along with us at Cardabilities. 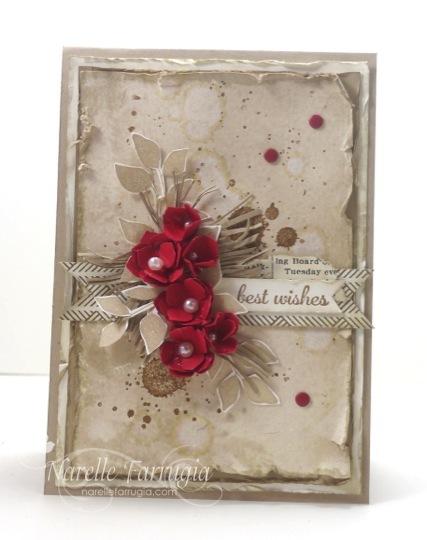 Gorgeous Narelle,love everything about this card red flowers look so pretty ,!!! Gorgeous! I love the pop of red that really gives this card class! Absolutely gorgeous!!! Love, Love, Love!!! Thank you for playing this week with the Pals Paper Arts!! Air Conditioner at 36 degrees?? You sound like me! I’m a New Englander in RI, and we are right now at the ending of an overnight snow/blizzard. It is in the teens and wind chills are at minus 10. Yup I had to laugh when I read your post. I thought that this is your Summer down under! Right now 36 would feel balmy here! Beautiful card ///love the flowers and the texture you gave this card! You always inspire me! Thanks for joining the Pals color challenge this week! Gorgeous card Narelle, totally feminine. I just love your work. Your card is absolutely beautiful…we’ve had -30 with -45 windchill…just a wee bit chilly…but hey it’s Canada! Very pretty Narelle. The red roses just pop against the neutral background. Thanks for playing with the PPA this week. Lovely card, Narelle! Here in Indiana we are in a state of emergency because of snowfall. No school, tho-so I’m in my stamp room. YAY! Oh my goodness, Narelle! I can’t even tell you how much I love this. Stunning hardly even covers it. Right into my pins. I want to make one just like it! This is stunning! Would you be willing to share your technique for the background? I can see the grunge stamp, but how did you achieve the almost negative effect? Thanks so much. Narelle, what a beautiful card, I especially love the red flowers, they really pop! Can you tell me how you made the flowers?